How to watch Tale of Arang: Tale of Arang (2012) on Netflix France! Yes, Tale of Arang: Tale of Arang is now available on French Netflix. It arrived for online streaming on March 13, 2019. We'll keep checking Netflix France for Tale of Arang: Tale of Arang, and this page will be updated with any changes. When Arang went missing, her father believed that she had dishonorably eloped with a man so he resigned his position as magistrate out of shame. She was brutally murdered ... but that's not going to stop her from exacting revenge. Now she just needs an ally. Tale of Arang of Tale of Arang has 20 episodes. Because different Netflix countries have different availability for episodes, you'll need to check the episode listing below to see which are available in France. Ghost Arang wanders the world to learn who she is. While the angel of death chases her, Arang searches for someone who can help her find her identity. Arang wears a hair ornament which belonged to Eun Oh's mother. Eun Oh finds out who Arang is, but she still does not remember what happened to her. After hearing the news that a corpse was found near a cliff, Eun Oh takes Dol Sue with him to the site. 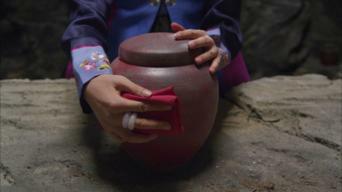 There, they find Arang's body. Eun Oh goes to visit Bang Ul to ask about Arang's whereabouts, but is saddened to find out that Arang went to the other world with the death angel. Eun Oh and Arang team up to uncover the truth about her death and find his mother. Eun Oh is dumbfounded when Ju Wal fails to recognize his fiancée. Behind the shrine to the village deity, Eun Oh finds something suspicious in the well. 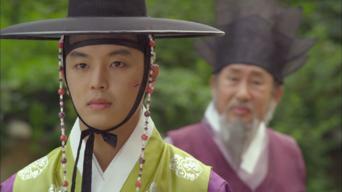 Ju Wal's face turns pale as he stumbles on Eun Oh. Eun Oh finds all the talismans and starts to rip them off. He also finds the last one hanging on the outer branch of a tree and reaches out to get it. Despite Dol Sue's strong objection, Eun Oh runs to the riverside as soon as he recovers to look for Arang. Unfortunately, Eun Oh fails to find Arang. 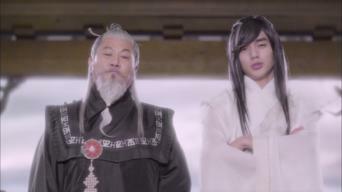 Eun Oh and Lord Choi sit face-to-face in the main hall, and Eun Oh asks Lord Choi to explain why he tried to conceal the grave case. Eun Oh is terrified when Arang tells him that if she can't find out the truth before two full moons pass, she will go to hell. Eun Oh sees Moo Young in his room holding a fan and a hairpin with a serious look on his face. Eun Oh runs at him and they begin to fight. Eun Oh and Ju Wal show their extreme hostility towards each other, with no mercy, in front of the Hong Ryun Temple. After Eun Oh asks Arang to marry him, things get awkward between them. However, Eun Oh tells her he will only think about returning her to heaven. Eun Oh hugs Arang and confesses his love to her, but Ju Wal also proposes to Arang. Hong Ryun is startled after finding out that the pot is gone. Eun Oh meets Hong Ryun, who has his mother's face in her basement! Moo Young and Hong Ryun both look at Eun Oh with panic and surprise. Eun Oh finds a seamstress in the woods and brings the tag that Arang had hidden before her death to Lord Choi. Eun Oh demands that Hong Ryun returns his mother to him, but she demands Arang's body in exchange. Arang remembers a similar standoff from her past. Eun Oh and Dol Sue are charged with treason. Arang goes to see Hong Ryun to find out what the magistrate's mother received in exchange for her body. 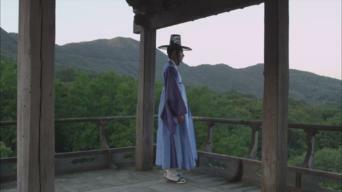 Eun Oh goes to the cave of Hong Ryun in search of Arang. 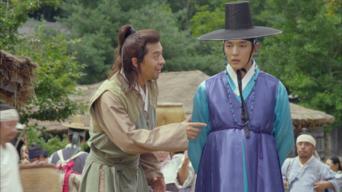 Ju Wal, who finally regains all his memories, also tries to locate Arang. Eun Oh arrives at the cave in time to see Hong Ryun trying to possess Arang's body. He uses his mother's hairpin to stab Hong Ryun.